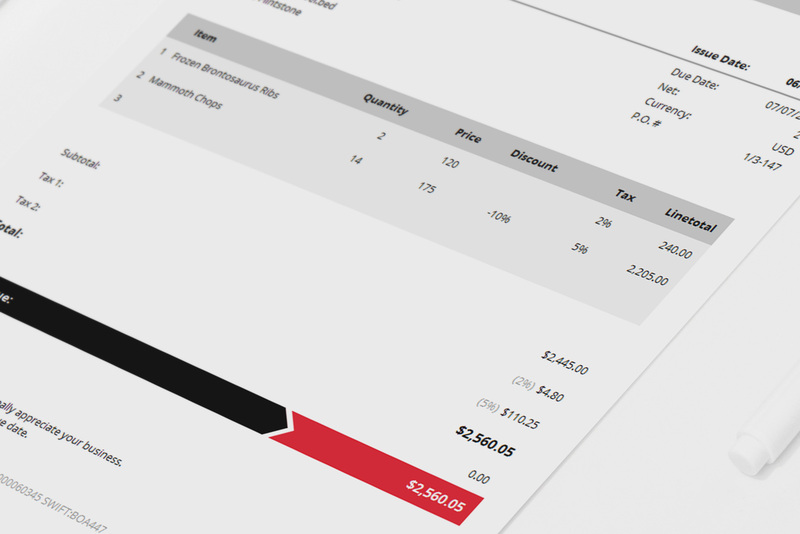 Armo is an easy-to-use invoice template with elegant, simple, and sharp business look. 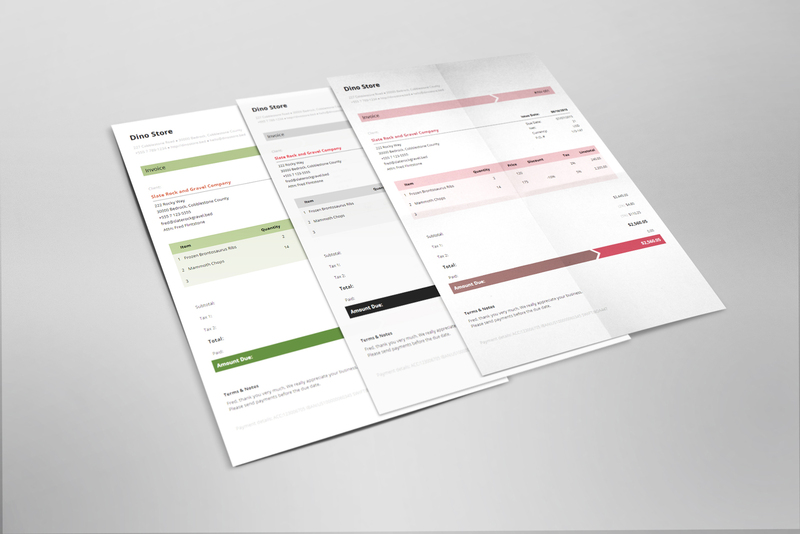 There is a strong focus on usability, so all information are wrapped up in a sophisticated, trustworthy and beautiful design that perfectly combines form and function. 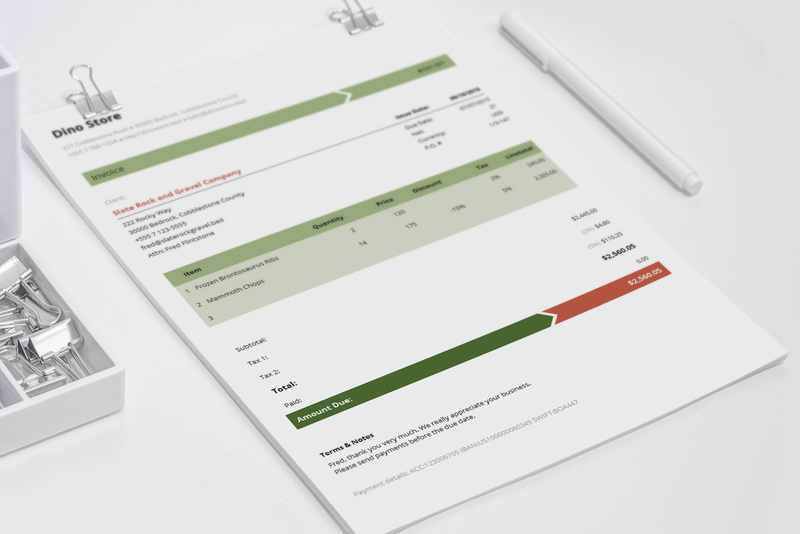 Smart shapes and colors are used to divide the invoice into a few easy digestible sections. 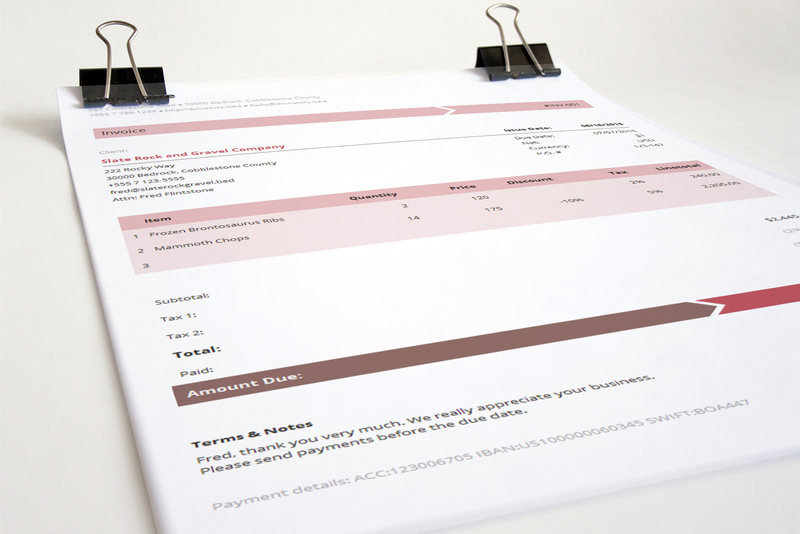 The upper part includes yours and your client’s details, the middle section covers the itemized list along with the breakdown of taxes and totals, while the bottom part contains your payment terms and notes. 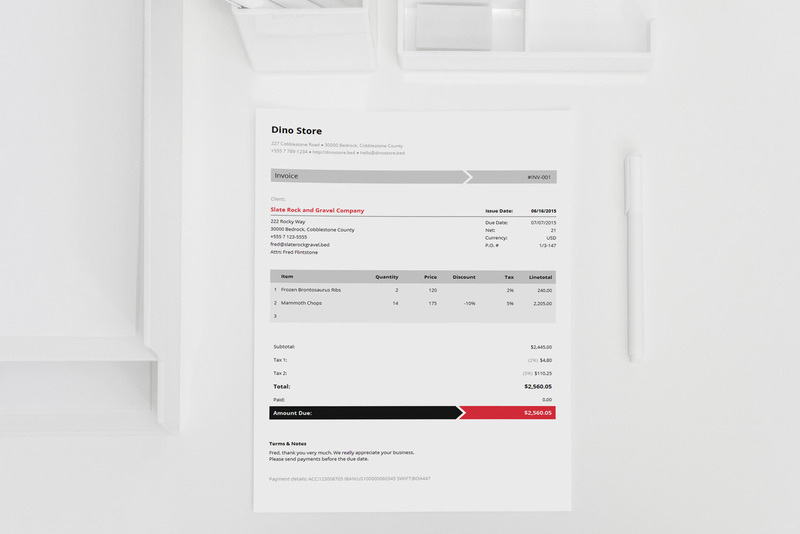 This beautiful invoice template comes in 4 different styles, so you can easily fit your own branding in it. 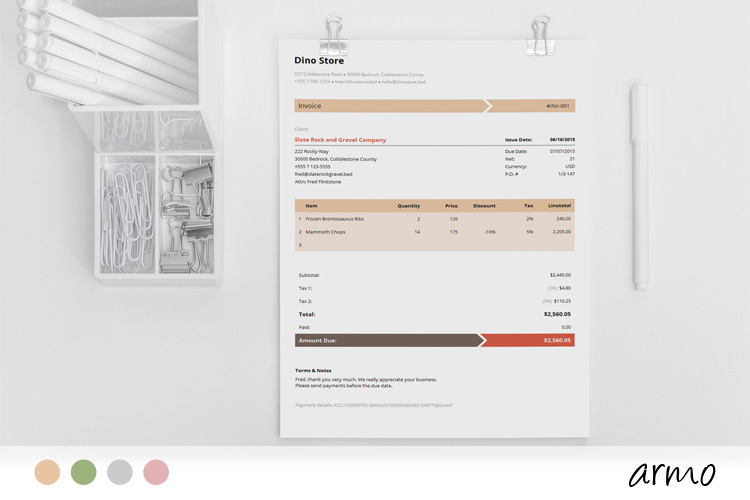 If needed, you can quickly rearrange the layout, change colors, or add your custom logo. 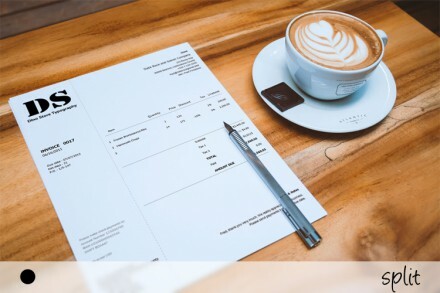 The template comes with a standard license which gives you the right to use the invoice for personal or business needs, but you cannot resell or redistribute it on its own, or use it as a part of another product offered for sale. Read more about the licenses here. We’re a group of a few die-hard code freaks, lovers of beautiful design, stewards of simplicity and passionately dedicated to the invoicing experience. 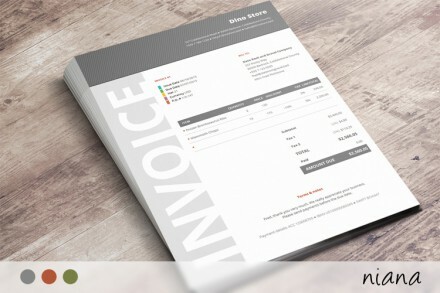 We also run Invoicebus – a great invoicing service that helps you send online invoices and receive payments with a few clicks.